The American Institute Architects’ Architecture Billings Index reported another decline in the month of October. The small spike in billings over the summer has proven to be short lived, and it appears that work will continue to decline, although it seems to be a slower pace than in September. The ABI registered a score of 49.4 in October; slightly higher than the 46.9 registered in September, but still a decline and a significant drop from the increase of 51.4 posted in August. While billings remain low, and the value of new design contracts fell this month, inquiries into new projects remain strong. Since billings by sector and by firm specialization are reported as rolling three-month totals, there were some bright spots in October despite the overall downturn. Firms in the Northeast reported gains in billings for the second month in a row, along with firms with residential and commercial/industrial specialization. Nonfarm payroll employment grew modestly in October, adding 80,000 new jobs. However, construction employment declined by 20,000 during the month - essentially offsetting the gains seen in September. Also, architectural services employment declined by 1,500 in September (the most recent data available). Architectural services employment is not seasonally adjusted, and it’s likely that firms are shedding temporary summer employees, as their highest payrolls of the year thus far were reported in June, July, and August. One promising sign is that more businesses seem to be hiring. The U.S. Bureau of Labor Statistics Job Opening and Labor Turnover Survey for September indicated an increase of 300,000 job postings from August, to a total of 3.4 million. This represents an overall increase of 38% since the official end of the recession in 2009. The first estimate of the GDP for the third quarter of 2011 shows a growth rate of 2.5%, a great improvement over the 1.3% rate shown in the second quarter. A major contributor to this was an increase in personal consumption and consumer confidence, and an increase of discretionary spending on goods and services. By region, the ABI breaks down as follows from September to October: Northeast is up 51.7 from 50.8, Midwest is down 47.7 from 51.0, West is down 43.5 from 46.7, and South is up 49.1 from 47.3. By market sector: Commercial/Industrial is up 53.5 from 52.4, Mixed is down 42.0 from 50.0, Institutional is down 47.3 from 48.0, and Residential is up 51.3 from 46.4. • Very small projects have been picking up, and there are newly proposed projects being considered, indicating that some construction work will continue. • Business is still very weak in central east coastal Florida. Things seem to be improving, but clients are slow to move forward. • Things seem to have slowed in our region. There is less state spending on capital projects, corporate spending is mixed but generally slowing, and higher education is somewhat mixed. Strategic planning allows your firm to establish its goals and objectives for the future. 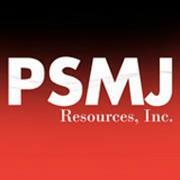 PSMJ has found that planning works well only when you bring your firm’s key managers directly into the process. In this way, you base your plan on critical input from a variety of perspectives and ensure a high degree of commitment from all those who participate. To develop a thorough and workable plan, you need to include all operational elements of your organization: finance, project delivery, human resources, ownership/leadership transition— and marketing. Whom do you want as clients? The first marketing question to answer during a planning session is “What kind of clients do we want to serve?” Establish specific criteria that define which clients warrant the investment of your marketing and proposal resources. • conduct their business in an ethical manner. After you decide on these criteria, subject your existing client list to them. Clients who fail to meet all the Quality Client criteria are appropriated zero marketing and proposal investment in your overhead budget. Next, subject potential new clients to the Quality Client criteria—and either include or exclude them from the marketing plan based on how they measure up. We are not saying you should refuse to work for clients who fail to meet all these criteria—only that you should invest no marketing or proposal efforts in those clients. If you do take work from them, make it on your terms, not theirs. Once you have developed your list of existing and potential Quality Clients, decide which of them should be designated as “Strategic Clients”—and target them as your highest priority. The next step in developing a marketing plan is to prepare a matrix of clients and services offered. If yours is a multi-office firm, you can create a similar matrix for each office. Learn more about how to stretch your marketing dollars and get better quality clients (something everyone in the firm should know!) - join PSMJ this spring for our Business Development for A/E/C Firms seminar, coming to 6 locations across North America. Get the tools and confidence you need to succeed in bringing in more work for the firm – register today! 1. Plan, structure, dry run, and analyze presentations before inflicting them on potential clients. 2. Research clients and their projects thoroughly before outlining your presentation. 3. Determine early on who the decision makers are. 4. Select the presentation team carefully. No one should be on the team if he/she cannot make a significant contribution to the presentation. 5. Relate everything possible in the presentation to the client’s interests and the specific project. 6. Come up with at least one “competitive differential” or unique selling proposition for your firm. 7. Thoroughly prepare all audiovisuals and written media. 8. Check out the presentation room in advance of the interview whenever possible. 9. Find out the composition of the interview committee. 11. Ensure a good introduction to the client interview team by preparing it yourself. 13. Be brief. Be aware of time constraints and make your important points within the allotted time. 14. Encourage discussion and participation by all present. 15. Anticipate questions and have a plan for answering them. 16. Have one member of your team act as a recorder during the presentation to note important points and questions raised by the panel. 17. Use examples and case histories. 18. Prepare for contingencies and emergencies. Stay flexible throughout the presentation. 19. Remember: clients have every reason to relate the way you handle an interview to how you would handle their project. 20. Close by politely asking for the job. Learn more about how to make successful presentations to ensure you win the job every time at PSMJ’s Winning Proposals and Presentations seminar. Our last 2 seminars in 2011 are still open and being held in Atlanta December 1-2 and in Las Vegas December 8-9. Get the tools and confidence you need to succeed in bringing in more work for the firm – register today! Throughout the course of teaching PSMJ’s PM Bootcamps, PSMJ consultants have identified the activities and approaches firms have taken which have led to success, and have developed an understanding of what lower-performing firms can do to change and put themselves on track for greater success. 1. Everyone is actively involved in business development. Everyone should take an active role in pursuing business development opportunities. Although it may be difficult or intimidating for most PMs to pursue getting new business, they should be tapping into their best resources for more work—current and past clients. 2. PMs champion proposal development. Once a proposal opportunity has been identified, the PM should become a key participant in, if not champion of, the entire process. PMs should have a key role in the development and negotiation of scope. This will ensure that the PM buys into and takes ownership of the scope and related fee. If involved in the proposal phase, the PM will have the opportunity to hear directly from the client what their project goals are. 3. PMs have a well-written project scope that can be converted into a detailed task outline for the work. This practice is essential for realistic budgeting, scheduling, easier negotiating, and to serve as a yardstick to monitor the progress of the project against the resources spent to date. 4. Have a strategic kick-off meeting. A well-developed strategic kick-off meeting allows the entire project team to understand the project and their responsibilities, scopes, budgets, schedules, and risks—and to contribute their own knowledge. If you can get the client to attend, and we strongly encourage that, it will allow the team to identify all client critical goals—and discuss client responsibilities as well. 5. Have a formal method to track the progress of projects. This method to assess real progress—not just expended resources—can be scaled according to project size and complexity. PSMJ prefers the Earned Value Method. 6. Have regular PM/principal status review meetings. All PMs at every level need frequent opportunities to step back and brainstorm with a client sponsor to keep their projects on track. My experience suggests you will always benefit from a focused hour of principal-level attention on your project. Benchmark your current project management practices against these six areas of focus and see how you might improve. Learn more tips on becoming a better PM team leader with the world's most successful project managers by attending PSMJ's A/E/C Project Management Bootcamp. This Bootcamp is a revolutionary training like no other--through interactive case-studies, real-world examples, and proven solutions, you will foster innovation, elevate communications, increase productivity, and improve your firm's bottom line. PSMJ is now accepting registrations for our Spring 2012 A/E/C Project Management Bootcamp series - instantly and dramatically improve your ability to manage projects for quality, speed, and profitability with PSMJ’s two-day intensive PM training seminar. Click here to register or contact PSMJ Education Department at education@psmj.com or (800) 537-7765. Seasonally adjusted nonfarm payroll employment increased by 80,000 (0.1%) in October and 1.5 million (1.2%) over 12 months, while the unemployment rate dipped to 9.0% (8.5%, not seasonally adjusted), the Bureau of Labor Statistics (BLS) reported on Friday. Seasonally adjusted construction employment fell by 20,000 (0.4%) to 5,525,000, and up only 13,000 (0.2%) from a year ago. The unemployment rate for former construction workers fell to 13.7%, not seasonally adjusted, from 17.3% in October 2010. (BLS does not report seasonally adjusted rates by industry.) The fact that unemployment fell sharply over the year despite a very small increase in employment suggests that workers are leaving the industry to take work elsewhere, return to school or training, or drop out of the labor force—all ominous indicators for future recruitment. Among the five BLS construction employment categories, nonresidential building posted the strongest year-over-year results: a monthly drop of 0.7% and a gain of 1.6% over 12 months. Heavy and civil engineering construction employment rose 0.4% and 0.7%, respectively; residential building, 0.6% and 0.6%; residential specialty trade contractors, 1.0% and 0; and nonresidential specialty trades fell 1.0% and 1.1%. Construction spending in September totaled $787 billion at a seasonally adjusted annual rate, up 0.2% from the revised August total but 1.3% below the September 2010 mark, the Census Bureau reported on Tuesday. Census lowered its estimates for August and July by $13 billion and $15 billion, respectively, mainly because it reduced estimates for residential improvements. Public construction spending dropped 0.6% for the month and 9.2% year-over-year, with mixed results for the two dominant categories: highway and street construction climbed 1.4% in September but fell 6.3% from a year earlier, while public educational construction slid 0.9% and 5.2%, respectively. Private nonresidential construction gained 0.3% and 7.4%. In descending order of current size, 1- and 12-month percentage changes were: power (including oil and gas fields and pipelines), -0.6% and 26%; commercial (retail, warehouse and farm), -1.6% and 9.5%; manufacturing (including data centers), -0.4% and 4.1%; and private health care (hospitals, medical office buildings and special care facilities), 3.5% and -2.6%. Private residential construction edged up 0.9% and 0.1%, with new single-family, 0.5% and -0.1%; improvements to existing single- and multifamily, 1.4% and -0.6%; and new multifamily, 0.2% and 6.5%. The employment cost index for private industry—a measure of wages and benefits—increased 2.1% from September 2010 to September 2011, BLS reported on October 28. The index increased 1.0% for construction, less than for any other industry and down from 1.2% between June 2010 and June 2011. The index for wages and salaries alone went up just 0.7% for construction vs. 1.7% for all private industry. The National Highway Construction Cost Index—an average of all accepted bids by state highway agencies, adjusted for project types, rose from 1.05 in March to 1.07 (2%) in June, the Federal Highway Administration reported on Monday. The June level was 21% below the most recent peak of 1.35 in September 2008. New orders for U.S. manufactured goods (excluding semiconductor manufacturing) rose for the third straight month in September, by 0.3%, seasonally adjusted, the Census Bureau reported on Thursday. Orders for construction materials and supplies fell 1.8% in September and 1.7% in August. Construction machinery orders rose 2.4% and 4.7%. Economic activity in the nonmanufacturing sector grew in October for the 23rd consecutive month, according to a survey of purchasing executives that the Institute for Supply Management released on Thursday. Eight sectors reported growth and eight, including construction reported contraction. Relatively few commodity price movements were reported. Items relevant to construction that were reported up in price included freight charges, lighting supplies, oil products, plywood, polyvinyl chloride (PVC) products and steel products; items that were down included copper and fuel. Purchasing executives at manufacturing firms, in a survey released on Tuesday, reported aluminum products, copper and steel and both up and down in price; titanium dioxide as up and diesel as down. However, the Energy Information Administration reported on Monday that the national average retail price of diesel fuel rose for the third straight week, by 6.7 cents per gallon to $3.89, 82 cents (27%) higher than a year ago. 1. Make it a priority. Sounds simple enough, but if a firm’s recognition and reward systems give greater emphasis to finding new clients, then that’s what employees will think is most important. Talk it up. Give recognition for cross-selling. Make it clear in routine meetings that cross-selling is a priority, and do some of it yourself. Set an example at the executive or principal level, and employees will believe it’s important. Identifying where cross-selling opportunities exist and creating a tally of those opportunities can also help. 2. Train employees. One of the main reasons why many employees don’t cross-sell work is that they’re reluctant to discuss a service that’s outside their area of technical expertise (not to mention employees that have been with a company for years and still don’t know the full range of services the company provides!). Employees don’t need to be experts in every discipline, but they would benefit from some education on the basics, such as the services the firm provides, issues these services address, how the services are provided, buzz words to look for and say, and how to introduce the client to your in-house expert when they find a specific opportunity. This can be done at brown bag lunch forums that create great internal dialog among the practice areas. 3. Provide experience. Create opportunities for employees to work on projects outside their normal practice. This provides two benefits: they’ll be better equipped to cross-sell, and over time it will give the firm greater flexibility to address the ebb and flow of workload across the firm’s practice areas. A consolidated office may be a natural catalyst for this. Just remember that YOU are the best sales tool your firm has. To learn more about how to cross-sell and bring in business, join PSMJ this fall for our Winning Proposals and Presentations seminar, coming to 5 locations across North America. Get the tools and confidence you need to succeed in bringing in more work for the firm – register today!